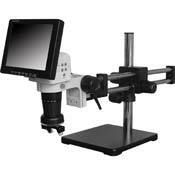 With the easy-to-use LX series of zoom video microscopes you can view virtually any size or type of sample, in nearly any setting, and allow several people to view the results. 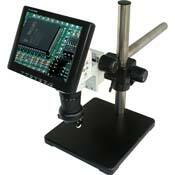 There's no need for a computer with this LCD solution! 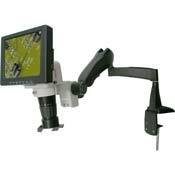 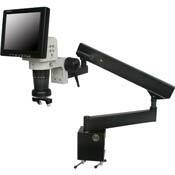 These zoom microscopes offer a built-in camera, a built-in LED variable ring light, and dual color video output. 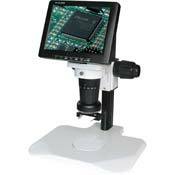 Plus six stand options, your choice of an 8" or 10.4" color swiveling LCD monitor, and up to 198x magnification!